The right way to go about reaching financial independence for me was only through understanding my “WHY”. For me, it is to be able to take control of my life. I don’t want to stay in the job that I don’t want because I have to. That's why we chose to owe no one anything but love, and it works wonders for us. We worked hard and sacrificed fancy material stuff earlier on to leave an inheritance for our children and started building our own tools to give to the poor. I have a small scholarship to give other people's kids a solid high quality education. This is all based on the wisdom found in the Proverbs. Establish your own WHY and shape your life to respond to it. A high salary doesn't count, unless it is used to acquire assets that make more money. It is all about asset ownership. Assets are what enable us to create jobs, reach out to the poor, and have control over our time. A job is not a permanent solution to one's financial woes. You may lose your job in an instant. It is much wiser to get R500,000 per year from an asset than R1Million from a job because your asset is likely to be with you and your children and if well taken care of, with your children's grandchildren. Most of our monthly income is from our rental properties. These alone can cover our current basic needs. It is definitely not easy collecting assets like property in South Africa. Don't be intimidated, however. Push harder, save like crazy, and start your own wealth building journey. We also paid up all our properties by investing the rental income back into the mortgages/ homeloans. It was worth it. Without a homeloan currently, that means lower monthly expenses. It's a no brainer, earning R20,000 and having your living expenses at R20,000 is doing your retirement plan disservice. Most of us spend more than we earn. In some instances, a beggar in the street with R500 net worth is doing far better. Living on 50% of your income is a general rule of thumb. I know couples that live on one salary. Earlier on, we invested about half of our income in real estate and lived on the other 50%. That was not very easy but with time it was automatic. Even the 50% was a lot. I suspect that we will do even better than this. I think living on 40% in our current financial state is attainable. It has been mentioned over and over again but the concept of paying yourself first will never get out of fashion. I am guilty of loving nice clothes, shoes and bags. Most people don't know how badly I love nice stuff including nice cars. I go to an extent of reading car magazines. I love cars. But I obviously can't own everything I love now, can I? The fact that I know I can afford them and will eventually own the one I really love is enough to keep me going. I just think a car installment would pain me at the moment. I doubt if I will ever be OK with it. So I try to hold my horses and keep pushing my old car. In the meantime, I'll keep investing in my car fund until its overgrown. I've been trying to quicken our way to reaching financial independence through this method for a while now. What works for me is transferring the money immediately it reaches my account into my investment accounts. Part goes to stocks, part to property when I have a mortgage, part to my money market account, etc. Its only after this that I start spending the remainder. After spending on all the basics, I make it a point I get my monthly facial and massage. Even with spending 50% and below, I manage to sneak in my beauty spa visit. It is very important for my sanity. Our emergency fund obviously gets some interest of just below 5% in the current low interest rates. The stocks we have earn us some growth and dividends. These are very small amounts but every little bit counts. I must add that with diversifying in mind, all our rental income goes to stocks now. I have a small income from my online writings. This alone can pay for my son's school. I am grateful for this very small amount of money. Especially because I love writing and I only do it about once a week currently. I am too busy with a lot of stuff in my life at the moment. I would prefer more writing. I also want to sell stuff online at a comfortable pace. I will stock things I love to collect and re-sell them. That includes antiques and art. How about you? 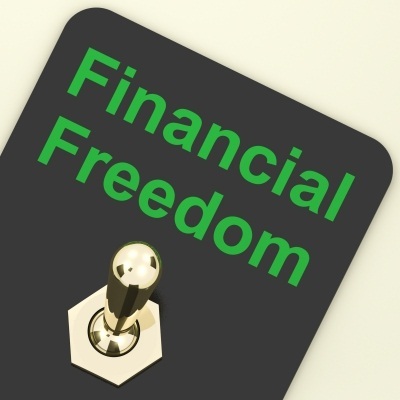 Is there any thing you are currently doing to fast track reaching financial independence?